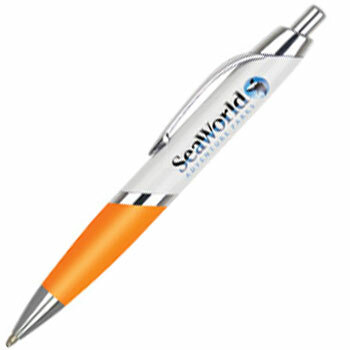 A stylish ballpen with a triangular barrel, chrome trim and comfortable rubber grip in a choice of colours. Also available with FULL COLOUR printing to meet the most demanding of logo designs. Well designed and modern looking with a balanced feel. Makes for a great promo gift. Your message is bound to make a real impression.